The following letter turned up in the CAA file of a certain pilot during a recent Investigation. The identities of the people and organisations concerned have been withheld for obvious reasons…. I have been asked to make a written statement concerning certain events that occurred yesterday. 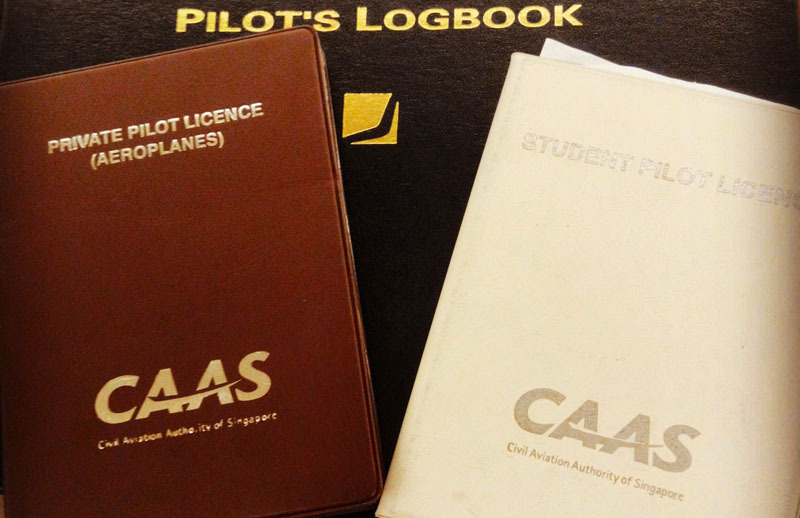 First of all, I would like to thank that very nice CAA man who took my student pilot license and told me I wouldn’t need it anymore. I presume that means that you’re going to give me my full PPL. You should watch that fellow though; after I told him this story he seemed quite nervous and his hand was shaking. Anyway, here is what happened. The weather had been pretty bad since last week, when I soloed. But yesterday I wasn’t going to let low ceilings and pouring rain deter me from another exciting experience at the controls of an aeroplane. I was proud of my accomplishment, and I had invited my neighbour to go with me since I planned to fly to Sun City, where I knew of an excellent restaurant that served steaks and draught Windhoek beer. On the way to Lanseria my neighbour was a little concerned about the weather but I reassured him and told him about the steaks and beer that were waiting for us and he seemed much happier. When we arrived at the airport the pouring rain had stopped, as I already knew it would from my meteorology classes. There were only a few small hailstones around. I checked the weather and I was assured it was solid IFR. I was delighted. But when I talked to the flying club, I found that my regular aeroplane, a Piper J4 Cub was down for repairs. You can imagine my disappointment. Just then a friendly, intelligent hangar assistant suggested that I take another aeroplane, which I immediately saw was very sleek and looked much easier to fly. I think they called it an Aztec C, also made by Piper. It didn’t have a tailwheel, but I didn’t say anything because I was in a hurry. Oh yes, it had a spare engine for some reason. We climbed in and I began looking for an ignition switch. Now I don’t want to get anyone into trouble, but it shouldn’t be necessary to get the manual out just to find out how to start an aeroplane. That’s ridiculous, I never saw so many dials, needles, knobs, handles and switches. As we all know, they have simplified this in the J4 Cub. Forgot to mention that I did file a flight plan, and those people were so nice. When I told them I was flying an Aztec, they told me it was all right to go direct via the airway, which I understand is a sort of local superhighway. These fellows deserve a lot of credit. They told me a lot of other things too, but everybody has problems with red tape. The take-off was one of my best and I carefully left the pattern just the way the book says it should be done. The controller at Lanseria told me to contact Johannesburg Radar but that seemed silly since I knew where I was and I knew where I was going. There must have been an emergency of some sort because all of a sudden a lot of airline pilots began yelling at the same time and made such a racket that I just turned off the radio. You’d think all those professionals would be better trained. Anyway I climbed up into a few little, fat clouds, cumulus type, at three hundred feet, but the highway was right under me, and since I knew it was due north to Sun City, where we were going to have drinks and dinner, I just went up into the solid overcast. After all,it was raining so hard by now, that it was a waste of time trying to watch the ground. This was a bad thing to do, l realised. My neighbour undoubtedly wanted to see the scenery, specially the Magaliesburg but everybody has to be disappointed sometimes and we pilots have to make the best of it, don’t we? It was pretty smooth flying and except for the ice that seemed to be forming here and there, especially on the windscreen, there wasn’t much to see. I will say that I handled the controls quite easily for a pilot with only ten hours. My computer and pencils fell out of my shirt pocket once in a while, but these phenomena sometimes occur, I am told. I don’t expect you to believe this, but I thought it was really funny and I asked my neighbour to look but he just kept staring ahead with a glassy look in his eyes. I guessed he was afraid of heights, like all non-pilots are. By the way, something was wrong with the altimeter – it kept on winding and unwinding all the time. Finally I decided we had flown long enough, since I had worked it out on the computer. I am a whiz at the computer but something must have gone wrong with it, since when we came down to look for the Pilanesburg Airport, there wasn’t anything there except mountains. These weather people had got it wrong too. It was real marginal conditions with a ceiling of about a hundred feet. You just can’t trust anybody in this business except yourself, right? Why, there were even thunderstorms going on with occasional bolts of lightning. I decided that my neighbour should see how beautiful it was and the way the lightning seemed to turn that fog all yellow but I think he was asleep, having overcome his fear of heights, and I didn’t want to wake him up. Anyway, just then an emergency occurred because the engine quit. It really didn’t worry me since I had read the manual and I knew where the other ignition switch was. I just fired up the other engine and we kept on going. This business of having two engines is a real safety factor – if one quits the other is right there ready to go. Maybe all aeroplanes should have two engines. You might want to look into this. As pilot in command I take my responsibilities very seriously. It was apparent that I would have to go down lower and keep a sharp eye in such bad weather. I was glad my neighbour was asleep because it was pretty dark under the clouds and if it hadn’t been for the lightning flashes it would have been hard to navigate. Also it was hard to read road signs through the ice on the windscreen. Several cars ran off the road when we passed and I see what they mean about flying being safer than driving. To cut a long story short, l finally spotted an airport and, since we were already late for dinner, I decided to land there. It was an air force base so I knew it had plenty of runway and, judging by all the coloured lights flashing in the control tower, we were going to be made to feel welcome. Somebody had told me that you could always talk to these military people on the international emergency frequency, so I tried it, but you wouldn’t believe the language that I heard. These people ought to be straightened out, and as a taxpayer, I would like to register a complaint. Evidently they were expecting somebody to come in and land, because they kept asking about some “goddamn stupid ?/**!% up in that fog.” I wanted to be helpful so I landed on the taxiway to be out of the way in case that other fellow needed the runway. A lot of people came running out waving at us. It was pretty evident that they had never seen an Aztec C before. One fellow, some General with a pretty nasty temper, was real mad about something. I tried to explain to him in a reasonable manner that I didn’t think the ATC should be swearing at the guy up there, but his face was so red I think he must have a drinking problem. I then heard that we had ended up at Hoedspruit Air Force base – what a stroke of luck! Well, that’s about all. I hired a car and drove home from Hoedspruit because the weather really got bad, but my neighbour stayed at the hospital there. He can’t make a statement yet because he’s still not awake. Poor fellow, he must have the ‘flu, or something. Let me know if you need anything else, and please send my new license by registered mail.